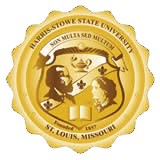 The Office of Financial Assistance serves as the liaison between veteran students at Harris-Stowe State University and the Department of Veterans Affairs. We process VA forms required for educational benefits, advise student veterans on procedural requirements and certify the enrollment of HSSU student veterans to the VA.
Any questions or concerns regarding eligibility should be directed to the VA, whom is solely responsible for determining eligibility. They can be reached directly at 1-888-442-4551 or online at gibill.va.gov. If you served on Active Duty, you might be eligible for education benefits offered by the Department of Veterans Affairs. For example, the Post-9/11 GI Bill provides financial support for education and housing expenses to individuals with at least 90 days of aggregate service after September 10, 2001, or individuals discharged with a service connected disability after 30 days. You must have received an honorable discharge to be eligible for the Post 9/11 GL Bill. If you are the spouse of child of a service member who is serving on active duty Title 10 orders in the paygrades of E1-E5, O1-O2, or W1-W2, you may be eligible for financial assistance from the Department of Defense for education, training, and/or the occupational license and credentials necessary for portable career. If you are the spouse of child of a service member, you may be eligible for transfer of the service member’s Post-9/11 GI Bill benefits to you. Course & Fee Statement for semester in which benefits are being sought. Once your paperwork has been submitted to HSSU's VA School Certifying Official, located in the Financial Aid Office (HGA #004), the courses in which you are seeking certification for will be evaluated by the Office of Academic Success (HGA #008) via the Registration Review form identified above. Enrollment certification with the VA generally takes place within 3 business days of completion of the VA Enrollment: Registration Review form by the Office of Academic Success, but can take up to 10 business days to complete.